Thanksgiving is just around the corner. It is a time to reflect on all the many things for which we are thankful. I quite vividly remember hunting season also at this time of the year. We always waited until after the first frost as it seems the game tasted better then. Dad taught us at about age twelve how to hunt with much emphasis on safety. We walked the field and woods in a firm line so no one ran the risk of being shot accidentally. As we got older, Thanksgiving morning was a special hunting experience with several other guys our age from nearby farms. It was an annual tradition and one that I cherish. Most of the fun was a brisk hike on a cold morning, laughing and have a good time together. Thanksgiving dinner was usually early evening just after the animals were fed. 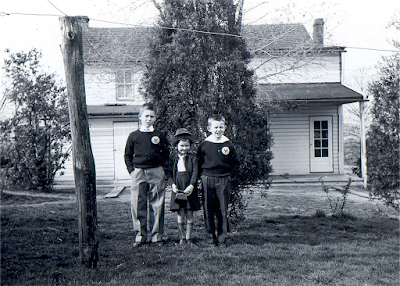 I was talking with my sister Peggy about our days at the one room school. One of the activities I described was the story of the "Windmill", a winter game in the snow. As we recalled those times, our minds turned to another game not in my book. It was competitive Rope Jumping. To do this, a long rope was needed with a student at each end turning the rope. As many as four or five children would be the jumpers. A rhyme was used mostly to emphasize the rate of which the rope was turned. As the speed increased, the jumping students may have had to bend over and touch their toes or some other trick. In all cases the chant ended with the words salt and then pepper. At this point, the speed increased as fast as the rope could be turned. The last remaining student still jumping and who had not gotten caught in the rope was the winner. Family farming meant everyone had an assigned task to do. My younger sister Peggy had the job of working in the house helping Grandmother Deimler. Together they kept it clean and prepared many of the meals. Meanwhile, Mom worked in the field or ran her produce peddle route in nearby Middletown. Peggy also was the backup for gathering the eggs and driving the tractor for bringing in hay or spraying the orchard. She had to be ready whenever needed. Working hard was something she truly knew. We did have two tractors, the Farmall A and later the Crawler that I thought was a John Deere. My brother tells me it was a Oliver Cletrac and I agree completely. 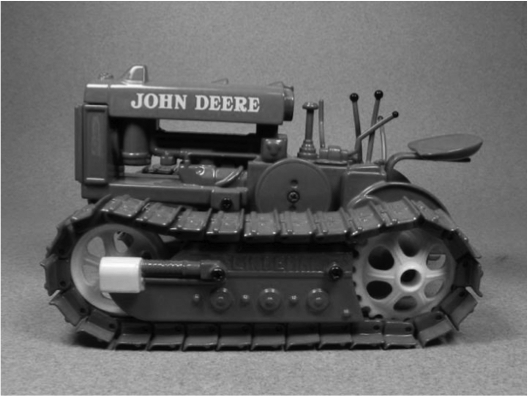 It was green, however, as is both Crawlers. 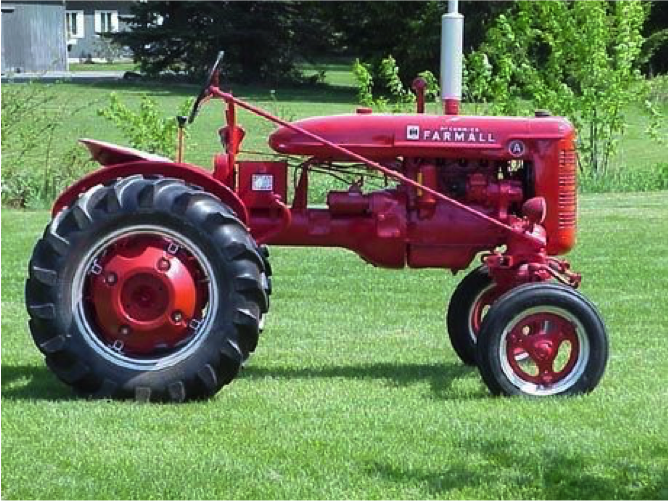 The land we farmed was hilly and after a couple near turn overs of the Farmall, Dad decided to get something that was safer. Since we all drove the tractor at times, this was very important. The Oliver Cletrac had tracks that sat fairly wide and thus no chance for turning over. One very interesting note is that the tracks were all metal and as we drove, made a lot of noise with some neighbors a half mile away commenting about it. Pulling a hay wagon forward with the Oliver was easy, but backing a wagon up the incline to the second level of the barn took some real skill. I must admit my brother Bill was the best of all of us in performing that task. 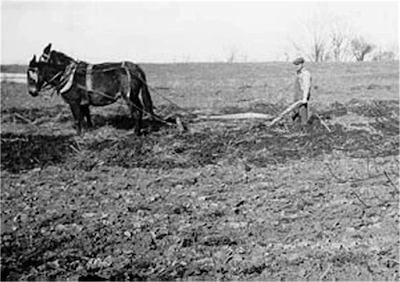 Farming at the end of the Great Depression was a community effort, and working hard was a way of life. 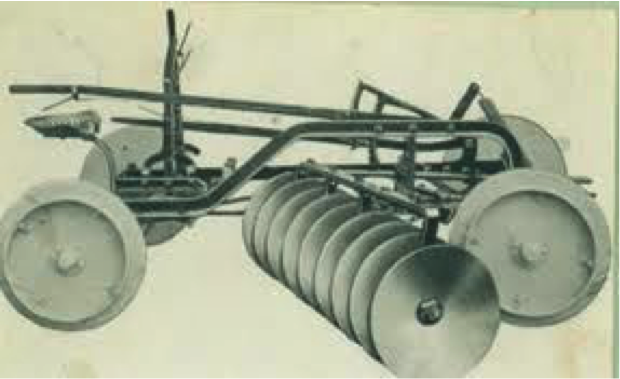 My family cultivated the soil using largely antiquated equipment and existed with no modern conveniences in the home. The days were long, but the results were rewarding as we eked out a living for ourselves. The really wonderful aspect of it was that although we had very little, I never felt we were poor, and I never went to bed hungry. 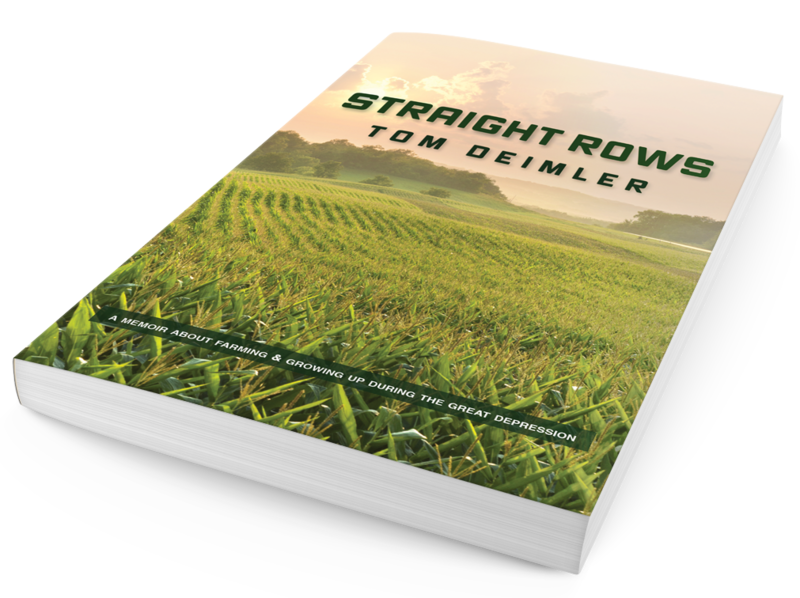 Straight Rows tells the story of my early days, from life as a boy in a one-room schoolhouse until I graduated from high school and went on to college. The experiences described in this book have defined who I am today. The lessons of the land were many and remain with me still.